This Surfers Paradise holiday accommodation will knock your socks off. You’ll love the location of the Baronnet Apartments. This Gold Coast resort is close to the beach, but also close to all the other things that make Surfers Paradise great — the shopping, the eating, the entertainment. Go hard during the day and come back to the BBQ by the pool. It couldn’t be easier. Our fully self contained Surfers Paradise apartments will make your holiday perfect. Open the sliding doors onto the balcony from the living room and let the ocean breeze in. The views are excellent too. The Coral Sea never looked better. All your bases are covered. Choose from one or two bedroom apartments. Whether you are bringing the family for a holiday on the Gold Coast, or escaping for a romantic weekend, this is the luxury accommodation option, just for you. Baronnet apartments are close to Cavill Mall, the main shopping centre in Surfers Paradise. It’s got some fantastic boutiques and specialist stores. If you’re in the market for a new beach ensemble, chances are you’ll find it in one of the stores here. There’s also an outdoor food court where you can find your favourite street foods. Located just 50 metres from the Northcliffe Surf Life Saving Club. you can swim in safety at the surf patrolled beach, or drop in for a casual meal at the local surf club. This is Surfers Paradise living. Try exploring the other beaches nearby as well. North is Main Beach where you can check out the boutiques and restaurants on Tedder Avenue and then proceed to Sea World, the closest Gold Coast theme park, only ten minutes by car. 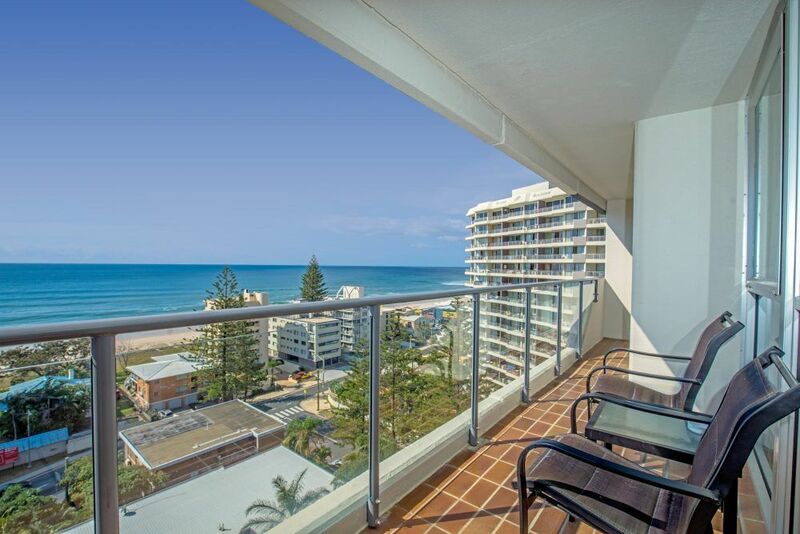 This Surfers Paradise holiday accommodation really is your ticket to a memorable Gold Coast holiday. Book now at the Baronnet Apartments in Surfers Paradise.